A new deal with Landmark means it's accepted at even more theaters. 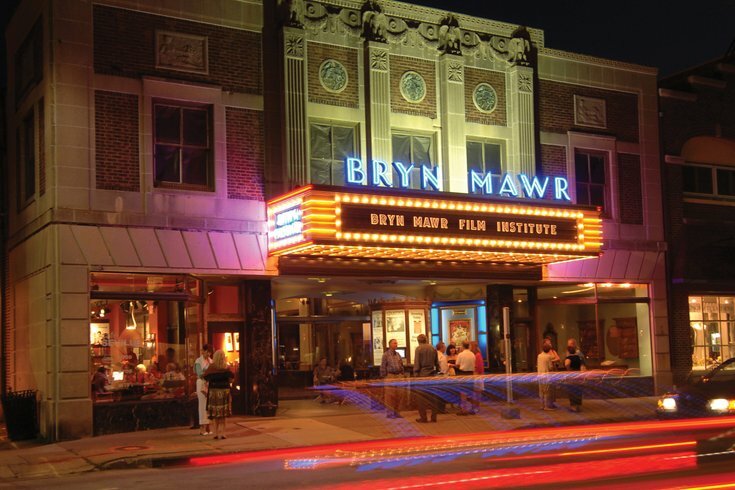 The Bryn Mawr Film Institute in Bryn Mawr, Pennsylvania. MoviePass, the self-proclaimed “Netflix for movie theaters” that trades a monthly subscription fee for all-you-can-watch tickets to the big screen, is cutting its price, again, in an attempt to lure even more customers. The pass, which was once offered at a $50 monthly fee to the most avid moviegoers among us, made headlines when its subscription price was slashed significantly to $10 a month (cheaper than a ticket to most area megaplexes) last summer. Now, at least for the time being, MoviePass is offering its product for a one-time annual fee of $89.95, which comes out to $6.95 monthly (plus a $6.55 processing fee). But another new MoviePass update could really sweeten the deal for prospective buyers. Until this week, one of the biggest downsides of having a MoviePass was its somewhat limited reach -- in Philadelphia, the two theaters most notably accepting the subscription were the Cinemark in University City and the UA Riverview Plaza Stadium 17. As of Tuesday, March 27, however, MoviePass announced it signed a deal with Landmark Theatres, the country's biggest theatre circuit dedicated to independent movies. This means that in addition to big megaplexes, you'll be able to use the pass at indie theaters such as Ritz at the Bourse and Ritz East. In the ‘burbs the pass works at Bryn Mawr Film Institute and some other indie theaters. Additionally, if you’re on the hunt for those ultra clutch reclining seats, both Plymouth Meeting theaters (AMC and Regal) accept the pass. If you’re trying to order tickets ahead of time, though, you’ll have to go to the theater in person to buy – so MoviePass wouldn’t really come in handy at busy times like, say, the opening weekend of “Black Panther,” when your best bet would be to order a ticket online days in advance. Since MoviePass’ first round of price cuts last summer, it has attracted about 2 million customers, though it hopes to reach a total of 5 million subscribers in 2019. It previously had about 20,000 subscribers. Of course, many theater chains haven’t been thrilled by the change – AMC even threatened to sue last August. Earlier this year MoviePass dropped a handful of AMC theaters, but none located in the Philadelphia area. Many suspect MoviePass may be currently operating at a significant cost. To make up for the discounted tickets their customers purchase, it reimburses the ticket full price to vendors, essentially serving as a way to subsidize moviegoers’ habits. The value MoviePass is garnering, Variety reported, is coming more in the form of data it is collecting about users, which they believe will help them turn a profit in the future. “Our vision has always been to make the moviegoing experience easy and affordable for anyone, anywhere,” MoviePass CEO Mitch Lowe said in a statement.